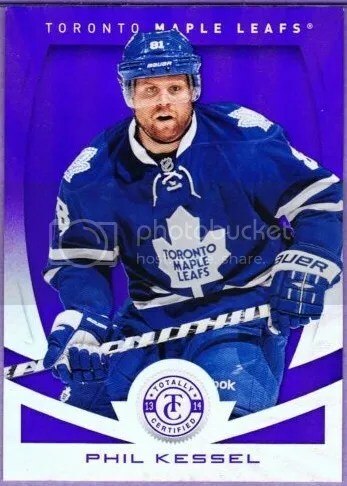 After the madness Panini saw over the Totally Certified parallels last year, it should be no surprise that they brought back the same design. Basketball is a sport appreciated worldwide which is why many of these parallels, especially the low printed ones, command such high prices. Yes these cards are covered in foil in true Panini fashion, but they look good. The colorful textured spiral backgrounds work well. Its fun to see collectors go nuts over a low serial numbered parallel that doesn’t contain a relic or an autograph. 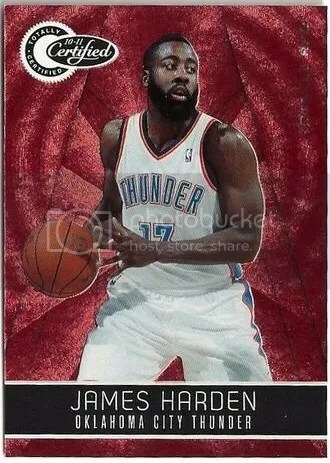 They aren’t quite up there with the stuff Upper Deck did in Fleer Retro, but collectors seem to like them a lot. Of course the white boxes had to along for the ride. Boxes are currently selling for $120.00. Every box contains (6) packs with a “hit” inside each pack. One of my packs had (2) “hits” in it. This product is filled with lots of nice high-end autographs, patches, and parallels, but you will see a large number of plain colored white jerseys. 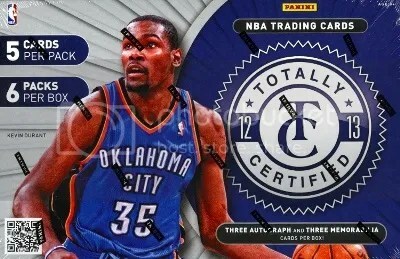 Overall, I give 2012-2013 Totally Certified 3.5 basketballs out of 5 (1=poor & 5=perfect). The parallels are well designed and what draw basketball fans to this brand. They easily remind me of something you would see back in the 90’s. 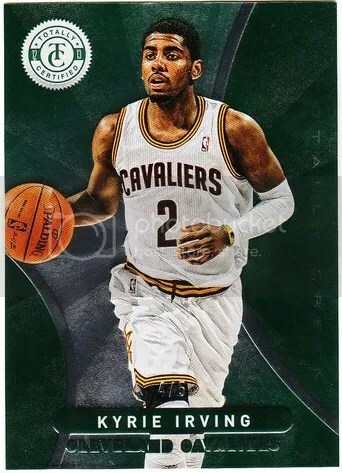 Panini must be getting the hint that basketball collectors like 90’s stuff. Perhaps that’s why they’ve decided to bring back Select. 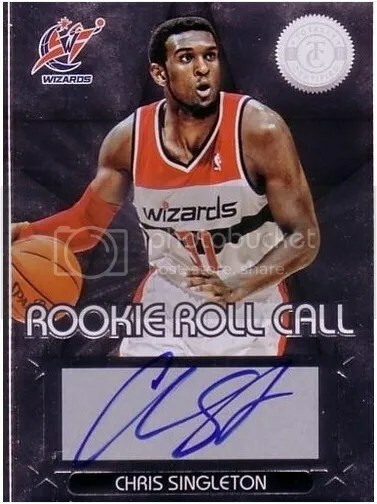 Anytime you can get collectors excited about a card that isn’t autographed and doesn’t contain a relic in today’s hobby is a good thing. 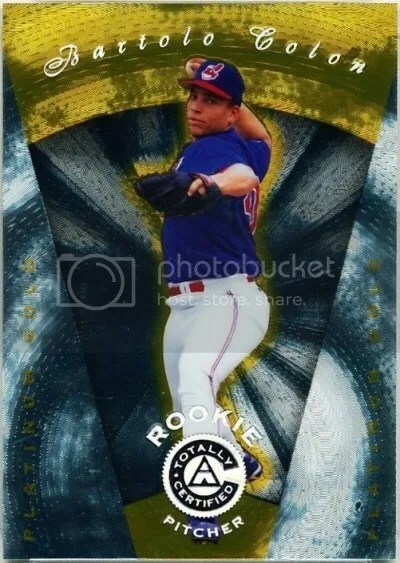 Pinnacle was truly on top of their game in 1997 with their Certified and Totally Certified products that covered baseball, football, hockey, and even racing. 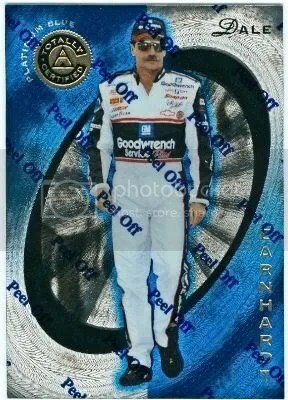 Every base card in 1997 Totally Certified Racing is serial numbered to 2,999 copies. These would be considered the Platinum Red cards. The Platinum Blue parallels are limited to 1,999 copies and the Platinum Golds have only 49. You don’t hear a lot about the racing version of ’97 Totally Certified. The baseball, football, and hockey are much popular. I bet most collectors don’t even remember that Pinnacle made racing products during the 90’s. 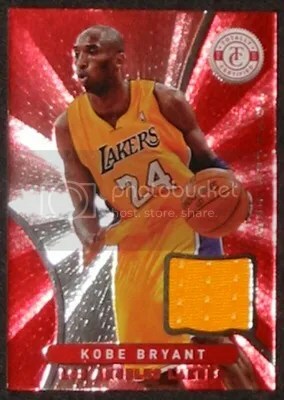 Obviously the Platinum Gold parallels are the most sought after since they had far less made. The design is classic from the 90’s. You have that all too familiar “Peel Off” sticker on the front. I never peeled these things off, even though they totally distract you from the card’s overall design. I always left them on to protect the card. They do look excellent when taken off.